In a letter today, U.S. 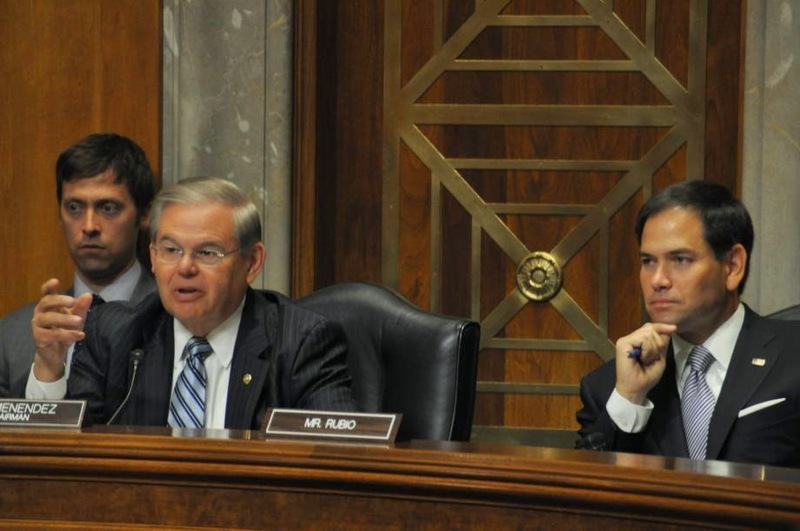 Senator Marco Rubio (R-FL), Chairman of the Senate Foreign Relations Committee’s Subcommittee on Western Hemisphere, urged Secretary of State John Kerry to not recommend the removal of Cuba from the State Sponsor of Terrorism List. I am greatly disturbed by recent media reports that you are considering recommending to the President that he de-list Cuba from the State Sponsor of Terrorism List (SSTL). 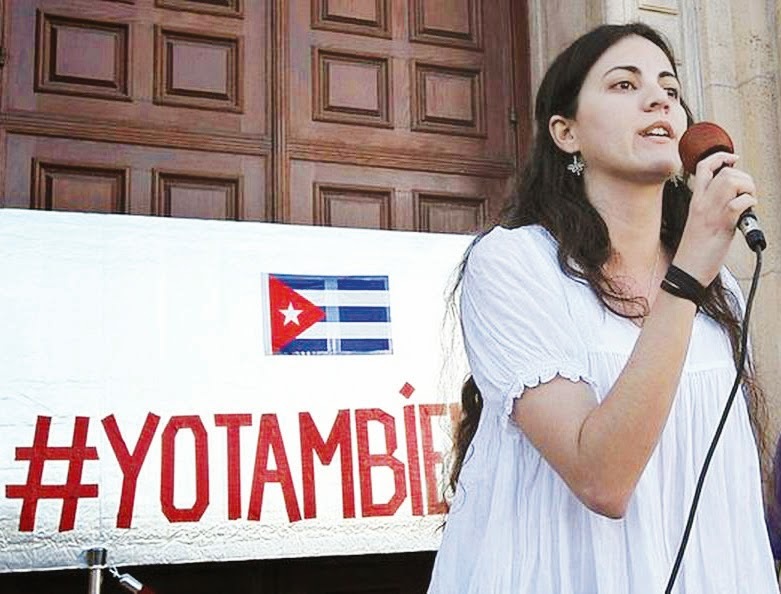 I believe that there should be no consideration of such a step while Cuba still harbors fugitives labeled “terrorists” by the FBI, provides support and safe harbor to members of terrorist groups like the Revolutionary Armed Forces of Colombia (FARC) and the Basque Fatherland and Liberty (ETA) and continues to flout international norms with respect to weapons smuggling and an ongoing relationship with North Korea. Cuba continues to provide a safe haven for convicted terrorists like William Morales, a Fuerzas Armadas de Liberacion Nacional Puertorriquena (FALN) bomb maker who was implicated in a string of bombings in the United States in the late 1970s that resulted in the deaths of four Americans. Morales escaped U.S. custody after his initial imprisonment and has apparently been provided safe harbor by the government of Cuba since the 1980s. Morales is just one of many fugitives who have left a wake of murders and bereaved families in their path, while many others have committed fraudulent acts against hard-working Americans. Another prominent case is that of convicted cop killer Joanne Chesimard, who remains on the FBIs Most Wanted list and has been openly harbored by the Castro regime, which again this week vowed never to return her to the United States. Cuba also provides support to ETA by refusing to extradite terrorists Angel Urtiaga and Jose Ignacio Etxarte. They have been wanted since 2010 in a probe into alleged links between Venezuela, ETA and the Colombian rebel group FARC. Last week, Spanish Foreign Minister Jose Manuel Garcia Margallo stated that Spain would like the United States to have these terrorists extradited to Spain as part of any talks regarding removing Cuba from the SSTL. The United States cannot in good faith remove Cuba from the State Sponsor of Terrorism List while the Castro regime harbors terrorists who have killed Americans, actively supports designated Foreign Terrorist Organizations by harboring their members and continues to flout international law through clandestine weapon transfers with a rogue regime like North Korea. Rubio Op-Ed in CNN: Cuba Taking Advantage of U.S.
Cuba taking advantage of U.S. In "The Godfather Part II," Michael Corleone famously responds to a U.S. senator's demands by saying, "My offer is this: nothing." Since President Barack Obama announced his normalization deal with the Cuban regime in December, life appears to be imitating art. Last week, Cuban President Raul Castro declared that his regime would not even entertain the Obama administration's requests to normalize ties until the United States abandons our naval base at Guantanamo Bay, ends the trade embargo, ceases pro-democracy radio and television broadcasts into Cuba and compensates the regime for "human and economic damages" the U.S. has, according to him, inflicted on the Cuban people. Last month, the regime's lead negotiator summed up its position even more succinctly after the first round of U.S.-Cuba normalization talks in Havana, saying, "Change in Cuba is not negotiable." In other words, emboldened by the first wave of concessions Obama gave the Castro regime in the form of access to more U.S. dollars, it wants even more in exchange for nothing. When dealing with tyrants, you can't wear them down with kindness. When that approach is attempted and one-sided concessions are made, tyrants don't interpret them as good faith gestures. They interpret them as weakness. This is a lesson the Obama administration has failed to learn from its dealings with Iran, North Korea and Russia, and even terrorists such as the Taliban. On Tuesday, the American people will have their first opportunity to hear from the Obama administration about its dealings with the Castro regime when I chair a hearing of the Senate Foreign Relations Committee's Subcommittee on Western Hemisphere affairs. I look forward to hearing the perspectives of State Department officials, even though I am already concerned by the administration's reluctance to allow the American people to hear directly from the two White House officials who negotiated the deal with the Castro regime over the course of 18 months of secret negotiations, and without the input of our government's top diplomats and negotiators. Many important questions remain about what exactly the Castro regime has done in exchange for Obama's softening of travel and banking regulations that will now allow more U.S. dollars to fill the Castro regime's coffers. For example, it's unclear why, with all the economic leverage it initially brought to the table, the administration apparently accepted a deal to free conditionally 53 political prisoners -- many of whom were released, but with charges pending or were threatened with more jail time if they renew their pro-democracy work. Indeed, some have already reportedly been rearrested in addition to hundreds of new detentions since the December announcement. Questions also remain about what, if anything, the administration has done to secure the repatriation of what the FBI estimates to be more than 70 fugitives from justice being provided safe harbor in Cuba, including known cop killers such as Joanne Chesimard. Also unknown is what, if anything, the administration intends to do to secure billions of dollars' worth of outstanding American property claims and judgments against the Cuban government. The list of questions and concerns like these goes on and on. In recent months, I've made clear that I believe the President and his allies in Congress are misguided for supporting a policy that gives away practically all the leverage the United States has to bring about democratic change in Cuba in exchange for virtually nothing. While reasonable people can disagree on the merits of what U.S.-Cuba policy should be in the 21st century, no serious person can argue that America is stronger when we give a cruel regime such as the one in Cuba everything it wants from the United States, including money it uses to repress its opponents, while we get nothing in return except more anti-American bluster from a geriatric dictator. With Cuba in the news recently, many Americans are asking why Cuba matters to them and why they should care. The simple answer is that what happens with Cuba has far-reaching and potentially damaging implications far beyond the island nation. Cuba is not the only rogue regime with which Obama is engaging in an attempt to end bad behavior. When America sits at the negotiating table with one tyrant or radical regime, the others -- from Iran to North Korea and elsewhere -- watch closely and learn best practices that they can apply to advance their own anti-American agendas. Just as the Cuban regime reportedly cited our swap of five members of the Taliban in the negotiations for Alan Gross' release, the Iranians watched how North Korea exploited U.S. diplomacy, slow-walked negotiations and ultimately achieved their goal of developing a nuclear weapon. There should therefore be no doubt that regimes around the world will be looking to emulate the Castro regime's so far successful efforts to take advantage of Obama's weaknesses and to undermine the U.S. role as the world's leading economic and military power. When the President settles for one-sided deals with the Castro regime, it hurts the Cuban people and their aspirations for freedom. When Obama allows the Castro regime to get the best of him in negotiations, it emboldens tyrants around the world. As the President's engagement with the Castro regime continues, I will do all I can to ensure that his "normalization" does not come at all costs, becoming yet another instance of a failed foreign policy that makes America weaker in the world and, ultimately, less safe. “Today’s announcement initiating a dramatic change in U.S. policy toward Cuba is just the latest in a long line of failed attempts by President Obama to appease rogue regimes at all cost. Like all Americans, I rejoice at the fact that Alan Gross will be able to return to his family after five years in captivity. Although he is supposedly being released on humanitarian grounds, his inclusion in a swap involving intelligence agents furthers the Cuban narrative about his work in Cuba. In contrast, the Cuban Five were spies operating against our nation on American soil. They were indicted and prosecuted in a court of law for the crimes of espionage and were linked to the murder of the humanitarian pilots of Brothers to the Rescue. There should be no equivalence between the two, and Gross should have been released unconditionally. The President’s decision to reward the Castro regime and begin the path toward the normalization of relations with Cuba is inexplicable. Cuba’s record is clear. Just as when President Eisenhower severed diplomatic relations with Cuba, the Castro family still controls the country, the economy and all levers of power. This administration’s attempts to loosen restrictions on travel in recent years have only served to benefit the regime. While business interests seeking to line their pockets, aided by the editorial page of The New York Times, have begun a significant campaign to paper over the facts about the regime in Havana, the reality is clear. Cuba, like Syria, Iran, and Sudan, remains a state sponsor of terrorism. It continues to actively work with regimes like North Korea to illegally traffic weapons in our hemisphere in violation of several United Nations Security Council Resolutions. It colludes with America’s enemies, near and far, to threaten us and everything we hold dear. But most importantly, the regime’s brutal treatment of the Cuban people has continued unabated. Dissidents are harassed, imprisoned and even killed. Access to information is restricted and controlled by the regime. That is why even more than just putting U.S. national security at risk, President Obama is letting down the Cuban people, who still yearn to be free. With the Seventh Summit of the Americas quickly approaching, I am deeply concerned that the Administration has sent mixed messages to the Panamanian government regarding the participation of undemocratic countries. During the 2001 Summit in Quebec City, the United States made a formal commitment that a democratic system is an “essential condition of our presence at this and future Summits”. Thus, as a non-democracy, Cuba should remain excluded from the Summit. Those words will stand hollow if our country fails to stand by these principles. Furthermore, allowing a country that is a habitual violator of human rights and has not allowed a free election in over 50 years would damage everything that the Summit wishes to accomplish. Cuba should not be allowed to undermine the commitment to democracy made by the remaining nations of the Western Hemisphere during the Summit process. Moreover, the United States should not stand idly by if Panama does indeed intend to invite Cuba to the Summit. Unfortunately, that seems to be precisely the mixed message sent recently by Principal Deputy Assistant Secretary of State, John Feeley, who told the Panamanian media that "it’s not so important the guests at the table but the meal that’s served." I urge you to reaffirm the United States’ position that Cuba should only be welcome to participate in the Summit when the Castro regime abandons its repression of the island’s population and to ensure that the nations of the Western Hemisphere are left with no doubt that the United States will stand firmly behind the formal commitment it made at the Quebec Summit. El senador cubanoamericano Marco Rubio (R-FL) cuestionó este viernes a la exsecretaria de Estado Hillary Clinton por haber sugerido al presidente Barack Obama que cancelara o flexibilizara al embargo a Cuba. "Ahora vemos hasta dónde llegó la secretaria Clinton para minar a los defensores de la democracia en Cuba al intentar ayudar a que el régimen de Castro se hiciera con más dólares con los que continuar su represión", dijo Rubio, según el diario El País. El senador aseguró que la administración de Obama "no tiene una agenda coherente para América Latina". "Los desastres que vemos actualmente en la política exterior del presidente Obama son los frutos de las semillas que plantó Hillary Clinton cuando era secretaria de Estado", afirmó. La exsecretaria de Estado Hillary Rodham Clinton asegura en un nuevo libro que exhortó al presidente Barack Obama a levantar o relajar el embargo contra Cuba porque ya no es conveniente para Estados Unidos ni fomentaba el cambio en la Isla. En extractos del libro Hard Choices, obtenidos por la agencia AP antes de su publicación la próxima semana, Clinton considera que el embargo le ha dado a Fidel y Raúl Castro una excusa para no poner en marcha reformas democráticas. Añade que la oposición de algunos elementos del Congreso a la normalización de relaciones ha dañado tanto al pueblo estadounidense como al cubano. "Desde 1960, Estados Unidos había mantenido un embargo contra la Isla con la esperanza de sacar a Castro del poder, pero solo logró darle alguien a quien culpar por los problemas económicos de Cuba", dice.